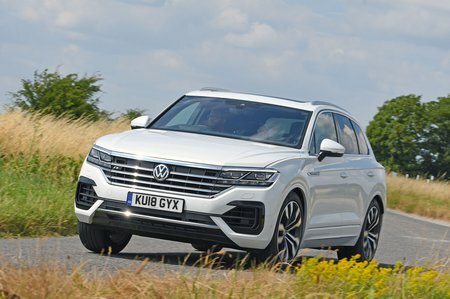 Volkswagen Touareg 3.0 V6 TDI BlueMotion Tech SE 5dr Tip Auto 2019 Review | What Car? What Car? will save you at least £4,187, but our approved dealers could save you even more. This entry-level Touareg is a good choice, and the one we’d most readily recommend. It comes with plenty of kit, including dual-zone climate control, sat-nav, leather upholstery, xenon headlights and all-round parking sensors.